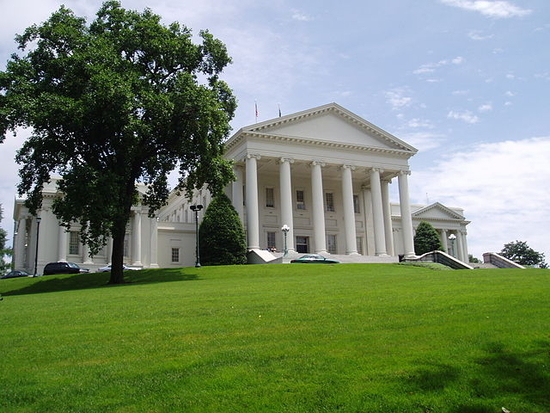 There have been numerous articles written on Virginia’s reducing of its employees’ working hours in order to avoid having to pay benefits – here is a recent one. I saw a couple of job postings on the VSCPA’s website for accounting teaching positions at UVa. In each case, the university wanted PhDs, but were offering no benefits. So if our legislature is considered part time, how come they get to participate in the state’s health plan? Of the General Assembly’s 139 members – one seat is vacant – 104 were enrolled in state health plans as of Feb. 10, as were 202 of their dependents, according to state Department of Human Resource Management data. For instance, on the state’s basic COVA Care plan, a covered employee pays $72 in pre-tax dollars of the $574 monthly premium, with the state picking up the rest. When a covered employee adds his or her family to the plan, the out-of-pocket premium is $220, with the state paying the remaining $1,321 of the $1,541 premium. They deny coverage to other part time employees but most of them take it for themselves. That takes unbelievable gall. Many of these same legislators have voted against the expansion of Medicaid. Not only do they take benefits denied to other part time workers, but they want to deny health benefits to those who have none at all. And who are these people? Most are the working poor. There are two names on the “yes, I’m grabbing a benefit for myself that other part-time state employees can’t have” but “no, we can’t expand Medicaid for poor people” list that require a calling out. The first is one I consider a friend – Del. Johnny Joannou of Portsmouth. You, Delegate, have coverage for yourself and your wife. Using the numbers above, the state is picking up nearly $16,000 a year for that coverage, almost as much as you are making in salary as a part-time legislator. I know you are a small business man. Having been one myself for 26 years, I know how costly health insurance can be. I also understand that you are trying to be fiscally responsible here – not wanting to take on an expansion that might come back to bite us later. Why can’t we cross that bridge when it happens? Why are you, a hardworking legislator, not willing to do as much as we can for the least among us? Tell the truth, Delegate – you probably couldn’t afford to pay to have the same coverage for health insurance as you enjoy from the state. I know I couldn’t. Before I became a state employee – full time, I might add – I was spending more than $400 a month for what amounted to catastrophic coverage, for just me. Are you willing to give up your coverage – particularly the share the state pays for you and your wife? If not, then why are you voting to deny coverage to those who otherwise can’t afford it? The other name on the list is Sen. Jeff McWaters. Honestly, Senator, I was surprised to see that you are on the state’s health plan. After all, you made the list of the wealthiest members of the legislature. And we know how you made your money. But what happened to this McWaters? McWaters, whose former company specializes in managing care for Medicaid recipients, said all Americans should have health insurance. McWaters said requiring health insurance would be cheaper than taxpayers’ footing the bill for uninsured people who use emergency rooms for routine health care needs. I have to say it just sickens me, Senator, that you would deny poor folks health care coverage while not only having gotten rich from it, but continuing to benefit from the largesse of the state. There’s no excuse for feeding at the trough of public benefits while denying those same benefits to others. To all of those who are, you are the epitome of hubris. Get out of that white house on the hill and do the job you’re supposed to do: put the best interests of the people of Virginia first. Updated 12:45pm same day for miscellaneous errors. Might want to fix that sentence. But no, it does not take gall. That’s what politicians do — make laws for others that they do not have to live under — and they pay no political price for it. Fixed. Left out a word. We have to elect different folks. I’m still kind of stuck on the idea of trying to recruit a CPA with a Ph.D. to teach at the state’s premier university while offering zero benefits. Don’t get me wrong, I think part time janitors deserve some kind of healthcare, too, but when we as a matter of policy making offering the best financial education in the Commonwealth contingent upon finding someone stupid or desperate enough to take a job as a professor, people of all political persuasions ought to be able to agree that it’s seriously time to reevaluate how we think we’re doing business. Sad, but it begs the question — what if they get good candidates for those jobs despite the “16 hours weekly” BS (anyone who has been a teacher knows that is only the PAID hours, not the hours you actually work) and no benefits? That would indicate a glut of PhD accountants on the market. Maybe the students of those poor sots will see how bad it is and decide that getting a PhD in Accounting is a Bad Idea. Eventually, the glut will reduce to reasonable levels. People do not “deserve” good-paying jobs just because they got a PhD. People deserve a good-paying jobs when they make even more money for their employers. The implicit argument here is that a glut of workers in a given field necessarily should discourage people from entering that field. I have to disagree; even where there is an oversupply in labor in a particular field, it benefits society overall if hard-working, talented people enter that field and compete for those jobs. Even when we have three times as many mediocre CPAs as society can support, we still have room for one more outstanding CPA. It’s the mediocre guy who should be reconsidering his life goals, not the driven and talented candidate. As far as when someone “deserve[s] a good-paying job,” I think don’t see employment as an entitlement, but even if I did, the focus on whether or not someone “deserves” something and what that something is improperly shifts focus away from what UVA ought to be trying to accomplish. Offering substandard remuneration and benefits is a surefire way to ensure that you’re attracting predominantly substandard applicants and providing substandard service to the consumer–the students and the Commonwealth. Especially in the case of UVA, the school would be better off trying to attract great teachers so that the school continues to produce great graduates. What if what UVA is offering is NOT substandard? What if it is normal, or even above-average, for college professors these days? There is no glut of good candidates. Last time I looked, only about 100 PhDs in accounting graduate each year. That’s why there are subsidies for those who pursue it. The numbers just aren’t there. I’ve heard of other professions where this was happening but not in accounting. I think part of the issue here is that UVA thinks it can do it simply because they are UVA. Heck, the only reason I knew about the postings was that they happened to have been tweeted out by the VSCPA. Seeing UVA on them, I decided to take a look – and was shocked. FTR – I don’t have a PhD so I’m non-tenure track. But I’m full time. Well, then, they will probably not get any decent candidates, and will have to raise their bid. All is well. Higher education, by and large, has adopted the Wal-Mart model for employing professors – hire a bunch of part-timers so they don’t have to offer benefits. It’s not just UVA, it’s a problem that’s occurring in academia all over the country. Absolutely — but how do we go about electing people who are NOT politicians? Obviously Jeff McWaters has a reason for not supporting this. It would be interesting to know. You should interview him. It would be really interesting to here what he has to say about it! Ha! You think he’d do it?